Are you looking for a role in Health and Social Care outside of ‘Core Office Hour’s? Do you posses the skills to work with people, offering signposting and support? If your answer to either of these questions is yes then a new opportunity that has arisen in our Adult Social Care Hospital team might be perfect for you! We are expanding our Hospital Social Work team to offer a seven day, evening and weekend service. It is hoped that this new way of working will offer a more efficient process and importantly, will ensure people can see us when it matters to them. This is a unique opportunity for the right person to work as a Care Navigator outside of ‘core office hours’, with hours available in the evening until 20:00 and on the weekend between 11:00 – 15:00. We are negotiable to the working pattern and would discuss this at interview. This role will involve working in a hospital setting where you will have the opportunity to liaise with service users, their families, friends and carers’ and other health professionals. You will be on hand to offer signposting and information, supporting with the service Adult Social Care provides in the hospital setting. As a Care Navigator you will screen work that comes through and also speak with people who are not always eligible for social care support, therefore it is a perfect role for those not necessarily used to working in a statutory setting. The post holder will have management support and advice readily available, including access to formal supervision. You will also be working with other Adult Social Care staff, including a Social Work professional, who can offer advice and support to you! 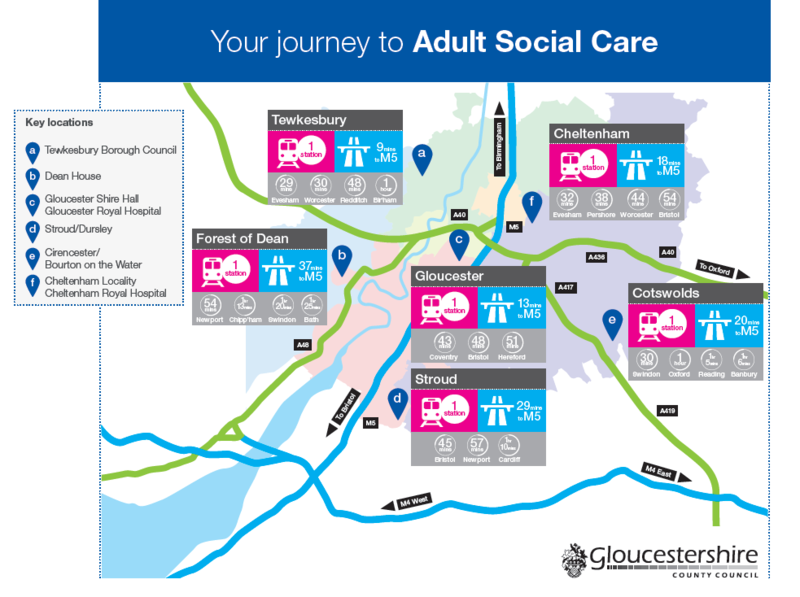 Why not click here take a look at our commuting times map to see if Gloucestershire Royal Hospital is accessible to you? 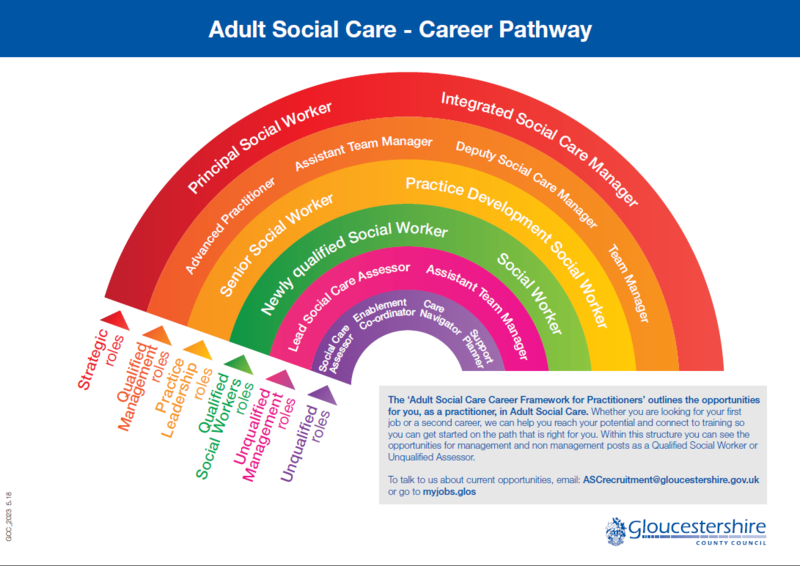 In addition, click here to view our career framework, where you can see how you could develop your career working in Adult Social Care at Gloucestershire County Council. Interested in meeting Pauline, the Care Navigator Coordinator who supervises existing Care Navigators in the Hospital teams? Please come along to our open evening recruitment event at: 10th Floor, Tower Block, Gloucestershire Royal Hospital, on Monday 17th December between 17:00 – 19:00. Email: ASCrecruitment@gloucestershire.gov.uk to book your space or to find out more about this dynamic opportunity. Additional payments are available for some staff in certain grades who work at the weekend, and/or on Bank Holidays. Further details of these payments will be discussed at interview. We value diversity in our workforce and positively welcome applications from all sections of the community. It is a legal requirement, under the Immigration Act 2016, that anyone appointed to a ‘customer facing role’ must be able to demonstrate an ability to fulfil all spoken aspects of the role with confidence in fluent English.